Permanent life insurance, whether it’s whole life, universal life, or variable life, is useful in many instances. Parents of children with special needs, people with a taxable estate, and other customers with unique asset-protection needs may find it worthwhile to get protection for their entire lives. But according to Peter Lazaroff, chief investment officer at Plancorp in the US, most people who end up with a permanent life-insurance policy are probably spending more money than they should. 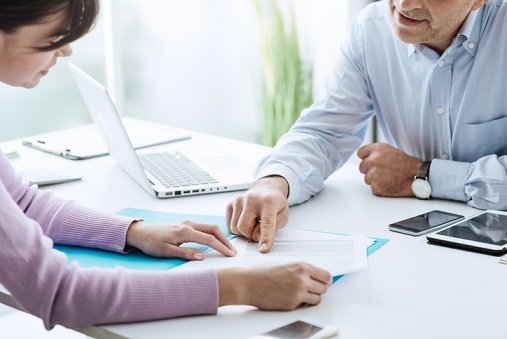 “When choosing between term and permanent life insurance, most people are best choosing term insurance and investing their cost savings into a low-cost portfolio if the goal is long-term growth,” he said in a piece for the Wall Street Journal. Addressing one common argument for permanent insurance — that people should buy life insurance while young and healthy to enjoy low rates —Lazaroff argued that a single young adult’s death wouldn’t result in financial hardship for others. Rather than paying for unnecessary protection, he said, such young people should put their money toward other goals like retirement savings or homeownership. “Insurance agents sometimes compare buying permanent insurance to building equity in a home, but this doesn’t make any sense to me,” he said. While people will always need someplace to live, their need for life insurance typically ends when they retire and their loved ones depend less on their financial contribution. The cost difference between renting and owning insurance, he added, is drastically larger than the long-term difference between rending and owning a home. And while policyholders can take loans against a certain percentage of the policy’s cash value, Lazaroff noted that the interest rate charged on the amount withdrawn is set very high to maintain the death benefit and recover the lost effect of compounding on the funds withdrawn. On top of that, the premium payments must be continued to avoid reductions in the death benefit or, in the worst case, the termination of the policy. “At that point, you’ll owe ordinary income taxes on the loan amount and remaining cash value minus the amount of premiums paid during the life of the policy,” he said. As for the view of permanent insurance as forced savings, Lazaroff stressed that the cash value stored in a permanent insurance policy doesn’t come with the flexibility and liquidity to satisfy most needs. And while insurance salespeople may point to dividend growth within a policy as a benefit, he pointed out that those dividends — which depend on the investment gains an insurer earns on capital from policyholders, how much they collect in premiums, and how much they pay out in death benefits — are merely based on projections that often get restated and aren’t guaranteed. Finally, while some agents would pitch permanent insurance as a form of investment diversification, Lazaroff asserted that the premiums paid by policyholders are split between the purchase of the insurance and a “super expensive stock investment. “The most cost-effective and flexible approach is buying term insurance to financially protect your loved ones and investing your savings in a low-cost portfolio for long-term growth,” he said. Are universal life policies failures, or just misunderstood? I do agree with Leo's point that permanent life insurance is not a good fit for everyone. As a certified financial planner for the last 16 years, I see all financial pieces, like investments and insurance, as pieces of puzzle that can fit together to create a whole satisfying picture. Simply speaking, term insurance is for temporary need and permanent insurance is for permanent need. Needs are the primary reason for purchasing insurance. For many families, the need does NOT necessarily go away when one retires. To preserve the estate for their loved ones, like my husband and I are doing, we purchase a joint-last-to-die life insurance policy, which is a very economical way to purchase a permanent policy. This will help my children to handle the estate in an orderly manner, as the payout would be tax free. The need will not going away and term insurance will not suit the need. Many young professionals are looking at whole life insurance with guaranteed 10 or 20 year premium paying options, as an attractive insurance and saving option. Most insurance companies have dividend paying history going back 100 years. Although not guaranteed, the odds looks far better and smoother than many investment out there. Also, the worst case scenario is no dividend for the year, rather than a negative 40% return. Most insurance companies paid out a dividend every year!! So I think you should take a look. The gain is very attractive as you know exactly how much the premium would be, guaranteed black and white in the policy. I encourage to take a closer look before writing them off. This could indeed be a good long term insurance and saving piece for a young person to consider, depending on their circumstances. To clarify, my business encompasses both investment and insurance. My gauge for what kind of insurance to recommend would be based on the following formula: Need + Budget = Solution (assuming good health).